Celebrating the international woman-day, Honey Bucket is heppy to present you with its first Le Menu collection. Le Menu is a recommendation series based on a certain topic or a theme. "When I get mad, yeah I get pissed, I grab a pen a write up a list, of all the ones who won't be missed..." L7 make my A+++ list, as one of the angriest RRRiot grl bands to ever hold a guitar. This power track is taken from the superb "Bricks are heavy" and also appears on the fitting "Natural Born Killers" soundtrack. A feminine rock classic. The mother of punk, the ruler of shock, the queen of queens - and this rock/reggae tune is just a taste of her eclectic musical direction, Taken from her first album, Nina Hagen Band. 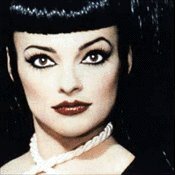 Combining punk, rock, r&b, art-rock, opera and so much more, Nina Hagen still dominates the bizarre side of women in rock, and music in general. 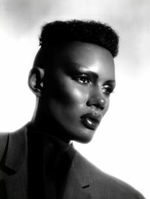 Grace Jones had made a huge impact back in the late 70's and early 80's with her funky disco vibes and twisted sexual image. She had the class, she had the groove, she had the moves - she had it all. This pounding dance floor track was featured on "A One Man Show" video filmed back in 1978, and also on her Nightclubbing LP. In times when the "Diva" title is being abused every 2 seconds, describing just about any teenage girl who gets paid enough money to "sing", it's always uplifting to recall the REAL divas. And one of them, if not the greatest, is Aretha Franklin, proving with this '00 piece she still has her powers. Backed by another tremendous female artist, Lauryn Hill (*) A Rose is Still a Rose was part of Franklin's Greatest Hits album entering the new millennium. 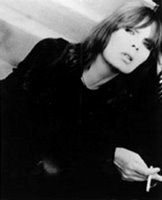 Velvet Underground's mysterious mistress, Nico, is one of rock world's most fascinating feminine figures. 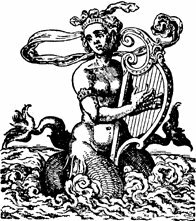 Supporting a sensual image, an unusual voice and a strong German accent, she had proved to be a terrific artist on her own rights. The classy Frozen Warnings is taken from her second LP, The Marble Index. The angry Limp appears on Apple's second release, When the Pawn..., and draws a very harsh image of an angry young woman. The dark cynicism and intelligent word choices along with her rusty voice make Fiona Apple a special and highly artistic female figure in modern pop/rock music. 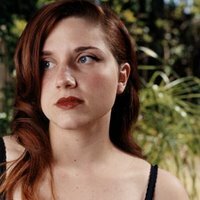 A rather bitter- sweet story being told by a great female storyteller. Babooshka is a song dealing with love and betrayal as well as the time barrier, and was also escorted by an unforgettable video of Bush dressed like a dancer and an Amazon/female Viking. Dolly Parton is a true force in contemporary Country music. Throughout her career she had her fair share of breast-publicity and low-budget movies, but she will always remain that sweet southern girl with a vivacious attitude and wit, showing on this beautifully humble song about childhood in poverty. 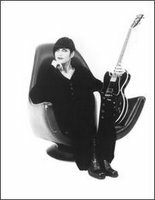 Ex- Shakespear's Sister (*), Marcella Detroit's angelic voice and dark gothic image roared the charts back in '94, when her striking single I Believe became a hit. Now it's a 90's classic, much as Detroit's four studio albums. As an accomplished singer/songwriter, Jolie Holland puts her full comfort on the traditional American blues and folk music. Taken from her second release, Escondida, Old Fashioned Morphine is an odd praise song to the old drug that became best friend with the likes of William S. Burroughs and so many more. (*) = will be featured on the future Le Menu collections.